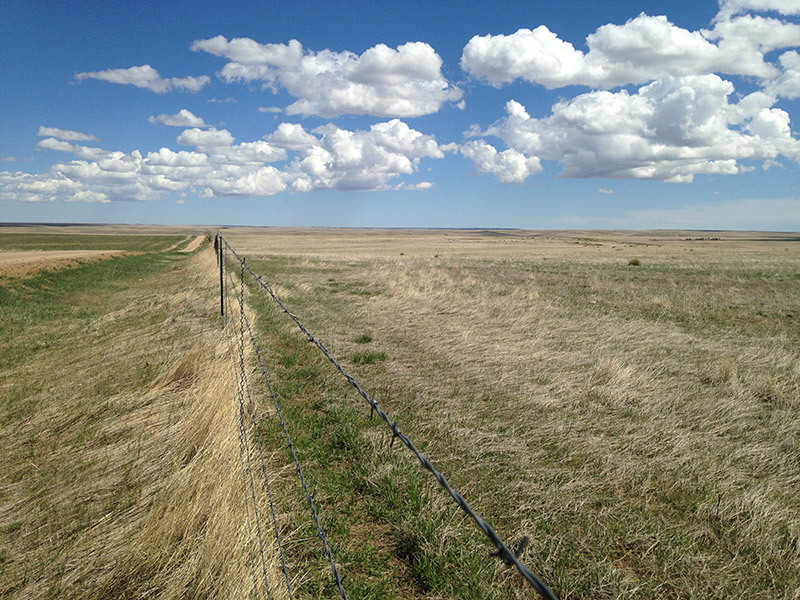 In 2017, The Trust for Public Land acquired a conservation easement on the 14,000 acre Wilson Creek Ranch in Agate, Colorado, building on a partnership with the Colorado Cattlemen's Agricultural Land Trust that has preserved over 20,000 acres of working agricultural land on Colorado's eastern plains. Funding for the transaction was provided by the Great Outdoors Colorado Trust Fund and the Natural Resources Conservation Service's Regional Conservation Partnership Program. Boasting 139 miles of stream frontage on native grassland habitat that has never been tilled, and 1,500 acres of wetland habitat and numerous desert playas, the ranch is one of the few undeveloped gems left in the area as development pressure from Denver has arrived east in the nearby town of Deer Trail. This diverse habitat provides critical habitat to dozens of bird species, as well as big game species and endangered plants, amphibians, fish, and bird species. This project adds to the over 12,500 acres that the Lowell Family has preserved in the area, resulting a true landscape level conservation effort that ensures there is enough land, water, and other natural resources to support ranching and wildlife on Colorado's eastern plains.